That question roughly splits gyms into two unequal halves: the ones who want to keep you by helping you achieve your goals, and those who seek to seduce you with flashing lights, advertising and sleek equipment so they can enjoy a slow feed from your bank account while you sit at home on the couch with a vague sense of dissatisfaction because you’re getting heavier and unhealthier. Remember, they can sell unlimited memberships to an empty gym. Bottom line: they’re either a service culture or a sales culture. Here’s how to tell the difference. As with all things in life, it’s easier to get what you want when you know what that is. It’s the fundamental question here because different kinds of gyms offer different kinds of services. Do you want to push weights? Do you want aerobics classes? Are you interested in yoga? Do a quick search online and find out what a gym has to offer in relation to things you want, or might like to try. 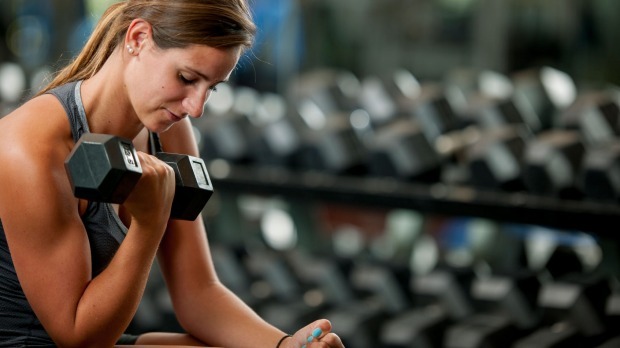 Commercial gym chains are swiftly buying up their competitors to eliminate them. To afford continual expansion, they spend as little as possible on the clubs themselves and put most of the dollars into renovating reception. It’s highly unlikely you’ll do any training in there, so go straight through onto the gym floor. 3. Is the equipment functional? A gym can be a dangerous place. It’s a much more dangerous place with plates and bars strewn all over the floor. Are there collars to keep the plates on the bars? Check the machines to see the pins are present and that the seats and benches are stable. It sounds picky, but it’s amazing how many gyms don’t ensure it. Many gyms have done away with floor staff to save cash. This means there is no one to clean up, no one to show you how to do something and no one to help if you get hurt. An owner-operator will be on the floor because it’s in their interest. 4. What’s the culture like? There’s an old saying, ‘the fish swims from the head down.’ There is no small amount of technique and procedure in effective training, and it’s something that filters down through the culture from the operators themselves. Established gyms have established, loyal clientele for a reason. Ironically, the more intimidating and spare the gym is, the more the other members will help you out. People who see fitness as a way of life will want to help you share it. Being around others that are in the long-term business of achieving their goals will help you do the same. 5. Are they advertising junk food? This sounds ridiculous, but one of the two major commercial chains stationed boards advertising Domino’s Pizza in their doorways, alongside Streets Ice Cream fridges. If you see that, turn around and walk straight out. 6. Are the staff fit? It is easier to get a job as a personal trainer than to work as a checkout attendant at a supermarket. The industry is hopelessly unregulated at the moment and as a result, some gyms have even opened their own academies to turn young and vulnerable people into personal trainers forced to pay exorbitant rentals. Commercial gyms hire as many trainers as they can, regardless of skills and abilities. Having a background in exercise and a professional standard of fitness isn’t everything, but it’s most of it. 7. Is there a squat rack? The squat, weighted or unweighted, is one of the two most important exercises you’ll perform in any setting. For that reason, a gym that has weights should have a squat rack. If they have gone to the trouble of having a squat rack, even if you can’t squat because of injury or simply don’t want to, that gym will provide you with safe, effective alternatives. 8. How many televisions are there? A television will interfere with your concentration, whether you like it or not. Ninety per-cent of a given exercise is about posture, and the ability to hold that posture is dependent on your eye-line. Because the eye is drawn to light, the television will distract you. If you’re being distracted while you’re working, it’s generally because they’re still trying to sell you something. A real gym sells results. Those results will be clearly visible in is in its staff and its members. The best ones will make you a living, breathing testament to them.